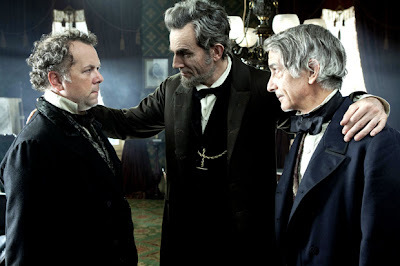 Mr.Stevens takes a dig at what is politics﻿ in the movie Lincoln saying that you cannot believe anyone in politics in his introduction scene. Politics was supposed to mean just the activities associated with the governance of a country or an area. But in today's world politics has just become a synonym for cheat, disbelief, betrayal and other negative dysphemism terms. During the passing of 13th ammedment to the American constitution, the politics involved for the sake of power rather than for the good of people clearly makes itself visible at the surface of the movie.